All American Transport Company offers visitors free auto transport quotes. They are based out of a small suburb of Florida known as Doral. 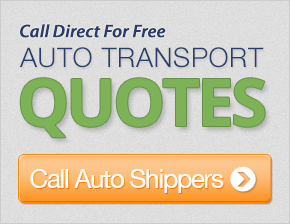 They are a relatively new auto shipper in the industry. One of the points of pride that All American Transport Company professes is an experienced customer service team that is willing to answer any car shipping questions you might have about auto transport. Every customer is assigned an individual customer service representative, who can walk you through every step required to move a car. Door to door transport for all vehicles. Coast to coast transport across the US. Open or enclosed carrier options for most vehicles. Specialty shipping for classic cars and vintage cars, as well as motorcycles. Able to ship non-running vehicles. All American Transport Company proposes an estimated 7-14 days for coast-to-coast shipping. For local auto transport service, say from one state to another along the East Coast, customers can expect a wait time of 1 to 7 days for delivery. They accept all major credit cards as a pre-determined deposit upon booking. Your auto transport company does an excellent job. The drivers should be complimented for their performance in driving in bad winter conditions. I would not hesitate to use your firm in the future and to recommend it to other people. I have nothing but good things to say about your company! Very good customer service - quick response to questions and correct information given. I am very grateful with the transport I received. Very responsible - I would hire you again. Best regards. Excellent job keeping me informed on the process. Cordial and quick to answer all my questions. Overall great customer service! It was a fabulous and very professional experience all the way around. You took really great care of my car. Thank you so much! Very pleased with the services and would recommended any person to use your firm. It was a pleasure to do business with you. The vehicle arrived in perfect condition. Thank you! Very helpful and friendly in helping me. I would recommend to all my friends. Responded to my questions right away. Very helpful. I had a really fantastic driver. I was pleasantly surprised the transport of my car by your company went so well. Eight years ago I used another company and that experience was really bad with considerable damage to my car. Guess it all depends on who you get to haul the car. I will definitely try you again in the future. Everything went very well. The drivers were kind enough to notify me of their ETA from Virginia Beach to Newport News, VA. Everything worked out great. Thank you. You company arranged shipping as soon as I ordered it and the car arrived safely. Thanks. The driver of the truck was very helpful. I would ship with your company again. Excellent service! I was really surprised to see my car shipped from New Jersey within a week. I'm so happy I chose you. Thank you much for being patient in all this. Your driver was pleasant and responsible as well. I would like to commend you on your customer service agent who was so resourceful. He always presented himself in the highest professional manner and was reassuring. I was very pleased with everything. My '69 Camaro arrived one day earlier than told and safe from any damage! I would like to say thank you. The vehicles were delivered unharmed. Your carrier was very nice and honest. I can apperciate that. Thank you all.